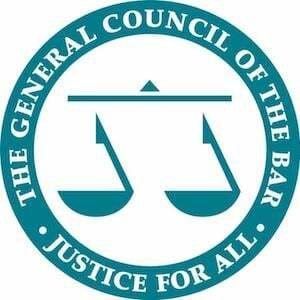 The Bar Professional Training Course - or BPTC for short - is the qualification you need to take after an LLB or GDL to become a barrister. This section details what the BPTC involves, applying using BarSAS, course costs, where to study as well as a step-by-step BPTC application guide. Thinking about becoming a barrister and want to know more about the Bar Professional Training Course (BPTC)? You’ve come to the right place! This page tells you everything you need to know about the course, from what it involves through to BPTC applications. The BPTC is a postgraduate vocational course. It is designed to prepare you for pupillage and practise as a barrister through the teaching of advocacy, criminal and civil litigation, sentencing, evidence and professional ethics. The course also allows you to choose elective modules to narrow your expertise to a field you hope to practise in as a qualified barrister. Who Can Apply for the BPTC? How Long is the BPTC? The course is offered on either a full or part-time basis. Full-time courses usually last one year and part-time courses usually last two years. The full-time course typically involves three to four full days of teaching a week, with the part-time alternative consisting of two evening sessions a week – for example, 6pm to 9pm. Depending on your circumstances, there can be advantages to selecting either option. Part-time programmes may be particularly appealing to those wishing to work full or part-time or those wishing to gain some practical legal experience whilst they study. For more information on the institutions offering full and part-time courses, click on our BPTC Course Comparison Table. What Does the BPTC Involve? The course aims to prepare you for pupillage and beyond, with particular emphasis on developing advocacy skills. Such skills are vital if you want to become a barrister. It is a good idea, if possible, to choose modules based on the area of practice you may wish to enter as a qualified barrister. Note: you cannot commence pupillage or subsequently begin tenancy in chambers until you have passed the course. How Much Does the BPTC Cost? The BPTC costs up to £19,000 in total, without taking into account living and travel expenses. Fees can be paid termly over a year for the full-time course, and termly over two years for the part-time course. For more information on the specific cost of courses at the different institutions, try our BPTC Course Comparison Table. Where Can I Study the Bar Professional Training Course? There are BPTC institutions across the UK, with some based in London (including BPP, City University and the University of Law) and others based in Nottingham, Cardiff, Manchester, Birmingham, Bristol, Leeds and Newcastle. For a full list of institutions, use our BPTC Course Comparison Table. What are the BPTC Entry Requirements? Obtain, as a minimum, a lower second class honours (2:2) in a Bachelor of Laws degree, or a 2:2 in a non-law degree and a pass on the Graduate Diploma in Law (GDL). Note, however, that when applying for pupillage Chambers are likely to look more favorably upon students who have achieved a 2:1 or higher at degree level and commendation or distinction at GDL level. Join one of the Inns of Court. The deadline for joining is around the 31st of May of the year your BPTC is due to commence. The education and training events that the Inns offer, along with convivial opportunities to meet practising barristers. You are only required to join one Inn and there is a one-off joining fee. You are then a member of the Inn for life. If you are applying for funding through your studies, you can apply for a scholarship at your chosen Inn. Each Inn offers different scholarships of different sizes. It is crucial to do your research before you apply to make the most of the funding opportunities available! When you commence the course, you will be required to attend 12 of the Inns sessions in order to pass. These events range from formal dinners at the Inns to Sunday lunches and even weekend residential trips. You will become an active member of the Inns through your completion of the course. What Does the BPTC Application Process Involve? You must apply for the BPTC through the Bar Student Application Service (BarSAS). You can select up to six BPTC programmes in your application. What Happens After Your BarSAS Application Has Been Submitted? Some institutions may give you an offer directly from your application, whereas others may invite you to an interview/assessment day. This may involve an essay-based exam, a mock court hearing speech and/or an interview. For more information on institutions currently requiring you to attend some form of assessment before being offered a place on the course, click on our BPTC Course Comparison Table. Is There Any Funding Available for the BPTC? It’s a good idea to look into scholarships that are offered to financially support your course. The Inns of Courts have scholarship programs, which you can apply to for a scholarship prize that helps finance your studies. Take a look at the individual Inns websites to find out more. The institutions themselves usually have scholarship programmes too, so there’s nothing to lose by sending in applications for both. It is important to note that completing the BPTC does not automatically guarantee pupillage. Securing pupillage is a competitive business with fewer pupillage places than graduating BPTC students. Before committing large amounts of time and money to pursuing the BPTC, it is important to think very carefully about whether you have what it takes to go all the way and qualify as a barrister. Step 7 – Begin the BPTC! *Alongside this process, it is important to continue building your legal work experience through mini pupillages, mooting, court visits and judge marshalling. It is also important to apply for pupillage if you are yet to secure one. Put your BPTC questions to The Lawyer Portal Community. Get help, give help and join the conversation today!